The group was formed in 1976 at Kentucky State University by the Calloway brothers (trumpeter Reginald, and trombone player Vincent), with vocalist Belinda Lipscomb. Signing to RCA Records, they released their first album, The Beginning in 1980, with a host of studio musicians. In 1982, they moved to SOLAR Records, and releasing a second album, Victory now with a real band behind them (guitarist Melvin Gentry, bassist Kenneth Gant, drummer Bobby Lovelace, multi-instrumentalist Bill Simmons and keyboard player Bo Watson). 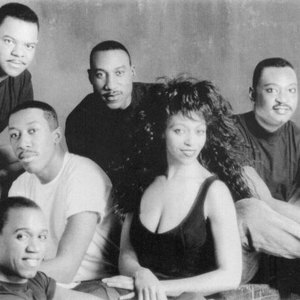 Due to the Calloways' production skills, it didn't take long for Midnight Star to connect with black listeners, hitting the R&B charts with early singles like "Hot Spot" and "I've Been Watching You." Their fourth album, No Parking on the Dance Floor released in 1983, took them to the top of the charts with the first single, "Freak-A-Zoid," which went to number two, on the R&B charts and propelled the album to platinum status. Their next album, Planetary Invasion was almost as big, going platinum again and making the pop Top 20 and the number one spot on the R&B charts with its first single, "Operator." In 1986, they came out with their sixth album, Headlines, which was their third album to sell at least gold. It was not to be their last, as the Calloways departed in 1988. The group retooled, now down to seven members they produced and recorded their self-titled Midnight Star album. The single "Don't Rock the Boat" featured a rap by Ecstasy from the group Whodini. It would reach number 3 on the R&B charts. The album would also be certified gold. In 1990 the band recorded Work It Out, their last album for Solar Records with internal problems between the distributor and record label the project was doomed. One of the standout tracks was called "Money Can't Buy You Love" a Belinda Lipscomb composition. long over due hiatus. They remained active in the business doing indivual projects with Melvin Gentry and Bo Watson creating the production team "Bo & McArthur" writing, recording, and producing hits for Shanice Wilson and Toni Braxton. Bo also served as Music Director for Babyface on MTV Unplugged concert series and CD recording that featured Stevie Wonder and Eric Clapton. Belinda Lipscomb found success singing on Emmy nominated TV and Radio commerials. She also landed lead roles in several musicals and gospel plays. Bassist Kenneth Gant became a record producer and executive for an LA based label. Bobby Lovelace and Bill Simmons worked on many music and media related projects. Jeff Cooper decided to retire from performing and create a music publication dedicated to educating young music hopefuls about the pros and cons of the music industry. After a few years, the members began calling each other to see how they were doing. It became obvious during those conversations that the performing bug had hit them. It was time to give themselves and fans what they all were missing, a Midnight Star Reunion. The band quickly reformed and were back out on the concert circuit. In 1999 Capitol Records/Right Stuff released Midnight Star "Anniversary Collection" this CD covered many of their past hits. It also gave the band the opportunity to contribute a brand new "Slow Jam Live" and Freak-A-Zoid track for the CD. In 2002 the band released their first album in over 12 years, entitled "15th Avenue. Today the band continues to perform for audiences all over the world. You can catch up with the band on their website.